Oconee County Utility Department Director Wayne Haynie said subsequently that the county has turned down the request because it does not have the ability to allocate its limited residential sewer capacity for the project. 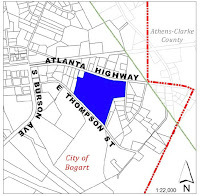 The Bogart Council will have to decide if it wants to approve the rezone with the condition that it will have to be built with septic tanks rather than county sewer services. The rezone request by Lovett-Keller Ventures LLC to convert 28.3 acres in Bogart from a commercial subdivision to a residential one generated concerns with Oconee County School System officials, as reported by The Oconee Enterprise in its lead story in the Nov. 17 edition of the paper. School system Chief Operations Officer Jack Grant wrote to B.R. White, director of the Oconee County Planning Department, on Nov. 10 regarding the Lovett-Keller rezone as well as another initially on the Planning Commission agenda for property across from Daniells Plantation outside Butler’s Crossing. The Planning Commission postponed action on the second rezone but approved the Lovett-Keller request, sending it to the Bogart City Council for final action. The Planning Commission didn’t discuss the letter from Grant at its meeting on Nov. 14, but it did raise questions about the availability of county sewer services for the residential development. Andrew Stern, county planner, told the Commission that the “county has not accepted water and sewer” for the project during his presentation of the rezone request. In response to questions, Planning Director White said “to my knowledge, the county has not accepted sewer there.” White acknowledged that a sewage lift or pump station was on the property. Utility Department Director Haynie told me in a telephone conversation on Nov. 21 that the county has rejected a request from Lovett-Keller for residential sewer for the project. “We are overallocated for residential,” Haynie said. Haynie said the county would have accepted an application for sewer capacity for the project had it remained commercial, but no plan had ever been submitted for such use. The county accepted an easement on July 26 of this year for a parcel that had been part of the original commercial development that included a sewage pump station. Haynie cited that wastewater policy in rejected the request for residential sewer. The Council tomorrow night will have to decide how to respond to the rezone with the knowledge that the developer will not have residential sewer. Williams, of William and Associates, said the developer would have to decide what course of action to take based on the ability of the property to handle septic waste if county sewer services were not available. Bogart does not have its own sewerage treatment capability. The Council meeting starts at 7 p.m. in City Hall in Bogart. The complete video of the Planning Commission meeting of Nov. 14 is available on the Vimeo site of Oconee County Observations. 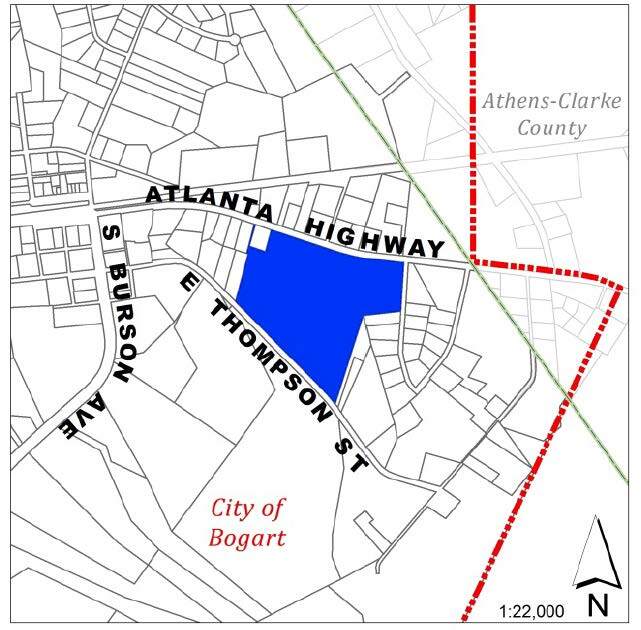 The Bogart rezone request was the first item on the agenda. Did the County receive the permit to begin building the Calls Creek Plant upgrade?." The BOC cannot vote in Executive Session but is able to vote afterwards before adjournment. One cannot help but think that a vote to expand the Calls Creek Plant may be the reason for this Monday morning meeting. A vote to waste $8,000,000 of Oconee County taxpayer funds. Funny, Melvin's retirement party was just announced for Dec. 11th. Dude has his retirement party in a few days, and he's trying to slam through Calls Creek sewer on his way out...guy's got no shame. John Daniell needs to put his foot down. Same goes for Jim Luke, Mark Saxon, Bubber Wilkes, Mark Thomas, Marcus Wiedower and Chuck Horton. This need to wait until the new commission is set. Despite the last 16 years, Oconee County is not a kingdom run by one person. I don't know that it is a waste of money to do the expansion to 1.5 million gal., that just means twice as much water being discharged into the creek. The real kicker comes when they ask to expand to 3 million gal. per day and have to build a pipeline somewhere to get the discharge to the river. All of this is if they don't build a new plant on the river. Even then you still have to get the sewage to the plant on the river thru a pipeline to be treated. Maybe we wouldn't be reading this if commissioners had done their jobs back in 2008 when they were too busy changing the sewer policy instead of actually looking toward the future. Now it's all coming to a head. Think about this when you're casting your vote today and remember that Horton had plenty of time to express the fact that sewer in Oconee was a need but instead put it off until now for a quick fix.